The museum contains exhibits and artifacts from the 1937 disaster. 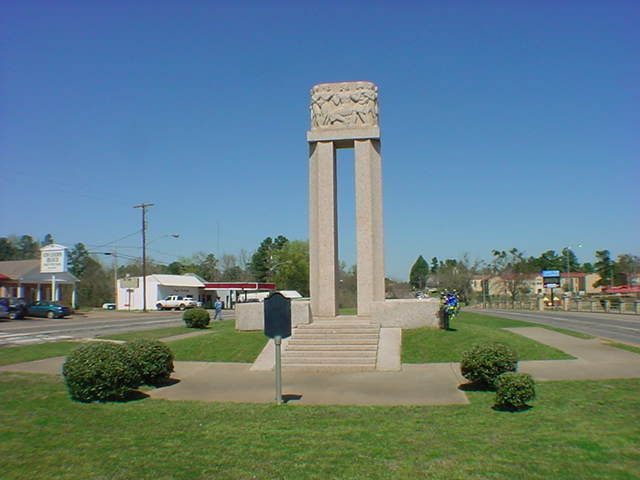 It is located in New London, Texas directly across from the high school. The New London Museum is closed on major holidays. ADMISSION - $5 for adults and $3 for children. INFORMATION - Groups wanting to visit on Saturdays must call ahead for arrangements. Large groups should call ahead for any day to set up a time for their visit so volunteer tour guides can be arranged. For more information or to make reservations for the museum, call 903-895-4602. DONATIONS - Those interested in making donations to the museum can contact the London Museum, P.O. Box 477, New London, Texas, 75682 -or- for your convenience, you may donate utilizing a major credit card or PayPal. Thank you. The Cenotaph commemorates the New London School Explosion, displaying in granite all the names of children, teachers, staff and visitors who lost their lives. New London, Texas, was known as the richest independent school district in the United States. Due to its oil wealth, the district was able to construct a state-of-the-art, for its time, school to house grades K-11. On March 18, 1937 students prepared for an Inter-scholastic meet in Henderson. Then, at 3:17 p.m., an instructor in the shop class turned on a sanding machine which sparked. In an instant, a good part of the building disintegrated with an explosion that could be heard for miles. Almost 300 students and teachers died in the blast. The spark had ignited accumulated natural gas from a leak in a crawl space beneath the school. Experience the tragedy and triumph as you step back in time with a visit to the London Museum in New London, Texas. In 1937 New London, Texas, in northwest Rusk County, had one of the richest rural school districts in the United States. Community residents in the East Texas oilfields were proud of the beautiful, modern, steel-framed, E-shaped school building. On March 18 students prepared for the next day's Inter-scholastic meet in Henderson. At the gymnasium, the PTA met. At 3:17 P.M. Lemmie R. Butler, instructor of manual training, turned on a sanding machine in an area which, unknown to him, was filled with a mixture of gas and air. The switch ignited the mixture and carried the flame into a nearly closed space beneath the building, 253 feet long and fifty-six feet wide. Immediately the building seemed to lift in the air and then smashed to the ground. Walls collapsed. The roof fell in and buried its victims in a mass of brick, steel, and concrete debris. 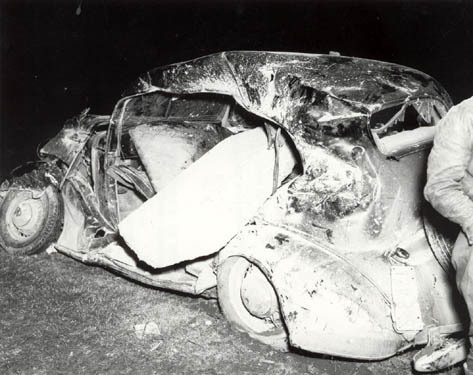 The explosion was heard four miles away, and it hurled a two-ton concrete slab 200 feet away, where it crushed a 1936 Chevrolet. Fifteen minutes later, the news of the explosion had been relayed over telephone and Western Union lines. Frantic parents at the PTA meeting rushed to the school building. Community residents and roughnecks from the East Texas oilfield came with heavy-duty equipment. Within an hour Governor James Allred had sent the Texas Rangers and highway patrol to aid the victims. Within seventeen hours all victims and debris had been taken from the site. Mother Francis Hospital in Tyler canceled its elaborate dedication ceremonies to take care of the injured. The Texas Funeral Directors sent twenty-five embalmers. 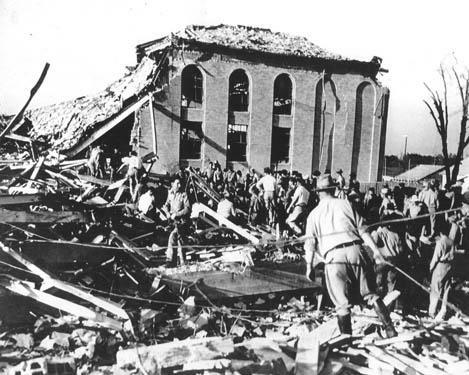 Of the 500 students and forty teachers in the building, approximately 294 died. Some rescuers, students, and teachers needed psychiatric attention, and only about 130 students escaped serious injury. Those who died received individual caskets, individual graves, and religious services. If anyone has a personal story or one passed down from a survivor or rescuer connected to the New London School Explosion, we would appreciate your information. Please contact us by email from the Contact Us page or write the New London Museum at P.O. Box 477, New London, Texas, 75682. All contributions will be acknowledged and credited (if desired). Thank you. This website is a replacement of the original website maintained by William (Bill) N. Grigg, Jr., son of William Grigg, Sr., a survivor of the New London School Disaster. Since Bill Junior's passing on September 22, 2001, this website was acquired and built using his format as a model. Bill was in complete charge of everything and when he died, it was believed that his website and all the information he had collected over the years was lost. After much hard work and research, it was found that the website in it's entirety had been copied and stored before Bill's passing. This new website, NewLondonSchool.org is the rebirth of Bill's dream. Very few people realize the scope encompassed by this site. Bill had compiled well over 100 pages of data and hundreds of pictures. Bill was friends with hundreds of people via the internet whose faces he never saw. They relied on him for the knowledge and he never let them down. We hope to continue this legacy. There will be some modernization and updating of the site, but out of respect to Bill Grigg, Jr., we will continue to display its current style and format. 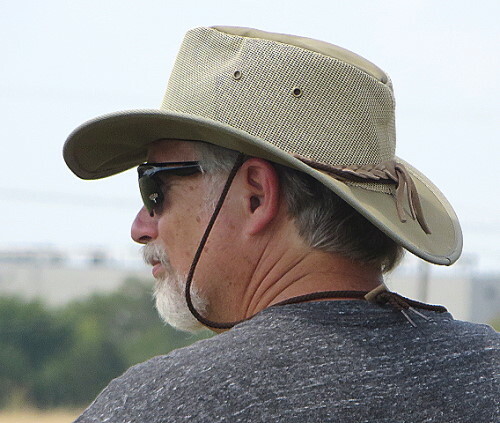 Our current Web Developer, Robert E. Hilliard, holds MS and BS degrees in Industrial Technology from the University of Texas at Tyler. He has worked in various capacities as a Senior Programmer and Webmaster for over 20 years. But first and foremost, Robert has been an active enthusiast for the New London area and its history for more than 40 years.